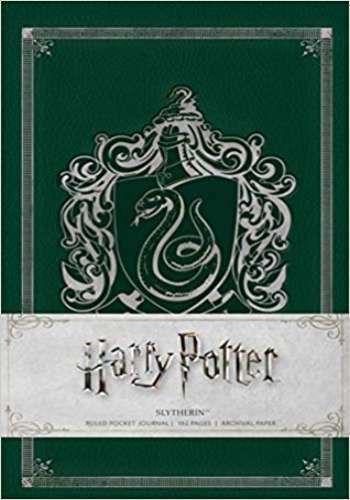 Decorated with striking imagery from the beloved Harry Potter film series, this pocket journal is an exciting addition to Insight?s best-selling line of collectible pop culture notebooks. Slytherin house takes its name from Salazar Slytherin and is noted for the amibition and resourcefulness of its members. This hardcover pocket journal celebrates the icnonic house with vibrant imagery and endpapers that display the beautiful concept art created for the films.